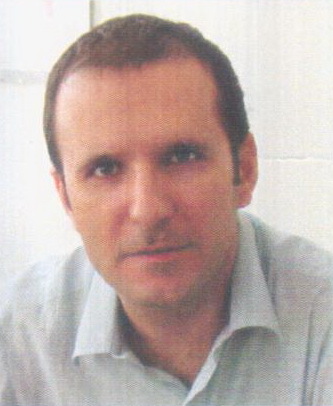 Dr George K. Paraskevas born in Katerini (Greece) in 1970 and works as Assistant Professor of Anatomy at Department of Anatomy, Medical School, Aristotle University of Thessaloniki (AUTH), Thessaloniki, Greece. He received the Medical degree in 1994 from Medical School, Aristotle University of Thessaloniki, attained the Ph.D. degree in 2000 (degree:excellent) and gained full qualification as specialist in orthopaedic surgery in 2005. In 2005 was appointed as Postdoctoral Lecturer at Department of Anatomy, AUTH and in 2010, G.K.Paraskevas served as Assistant Professor at the Department of Anatomy in Medical School of Aristotle University of Thessaloniki, Greece. 1.Some remarks concerning clinical anatomical terminology G. Paraskevas, P. Gigis, S. Malobabic Folia Anatomica, 27(1): 71 – 75, 1999. 2.Primary malignant mesothelioma of the greater omentum C. Lazaridis, B. Papaziogas, A. Souparis, T. Pavlidis, R. Kotakidou, G. Paraskevas, H. Argiriadou, T. Papaziogas Arch. Gastroenterohepatol, 19(3 – 4):87 – 89, 2000. 3.Preduodenal portal vein in the adult T. Papaziogas, B. Papaziogas, G. Paraskevas, C. Lazaridis, A. Patsas Morphologie, 84(266): 33 – 36, 2000. 4.Embryology and clinical significance of the perforated diaphragm of pyloric antrum in adults.G. Paraskevas, B. Papaziogas, T. Pavlidis, P. Xepoulias, P. Gigis, T. Papaziogas Folia Anatomica, 28(1): 48 – 53, 2000. 5.Hippocratic views concerning the anatomical characteristics of «arteries» and «veins» H. Christopoulou – Aletra, P. Gigis, G. Paraskevas International Angiology, 19(4):373 – 376, 2000. 6.Variants of ulnar sulcus for the extensor carpi ulnaris and their clinical significance G. Paraskevas, P. Gigis, S. Malobabic, P. Xepoulias, D. Intzes, C. Gekas Folia Anatomica,28(1): 29 – 33, 2000. 7.Annular pancreas in adults: embryological development, morphology and clinicalsignificance G. Paraskevas, B. Papaziogas, C. Lazaridis, P. Gigis, T. Papaziogas Surgical and Radiological Anatomy, 23: 437 – 442, 2001. 8.Geometry of the articular surfaces of the glenohumeral joint V. Boulti, A. Mylonas, G. Paraskevas, P. Xepoulias, P. Gigis Folia Anatomica, 29(1): 43-50, 2001Radiological Anatomy, 23: 437 – 442, 2001. 9.Os acromiale: morphological analysis and clinical significance G. Paraskevas, S. Papadopoulou, V. Boulti, S. Spanidou, A. Mylonas, P. Tsikaras Folia Anatomica, 29(1): 16-20, 2001. 10.Congenital double pyloric ostium in the adult A. Mylonas, G. Paraskevas, B. Papaziogas, E. Fragos, J. Koutelidakis, P. Gigis, T. Papaziogas Αnnouncement: 11th World Congress of the International Association of Surgeons and Gastroenterologists, Heraklion, 1- 4 November 2001 Publication:α)(abstr. )Hepato – Gastroenterology, 48, supplement I, p. CCXIII, 2001. b) Surgical Endoscopy, p. 1-5, 2002.